ur beloved country is so flooded with Indian restaurant boasting curries of all sorts. But I have not tasted traditional curries that bring me closer to India; the taste keeps me craving for more and more. If you believe me then taste it for yourself and it will be mind blowing, satisfaction comes with guarantee. The establishment is regarded as the best authentic Indian dishes in the country which boasts local ingredients as well. Mr Pandey started his adventure into hospitality industry as a dishwasher, in 1996. Worked his way up and became the Chef de Partie in one of the five star hotels in India – Mount View Chandigarh where he spent a year to learn the basic culinary arts of Indian cuisine. He also has worked as a head chef in Chawla’s Restaurant famous restaurants chain group in India which has more than 100 outlets. Also in Qatar as an executive chef for Royal Tandoor and Tandoor express restaurants for more than four years. There he was also involved in industrial catering for 8000 scientists on a daily basis. 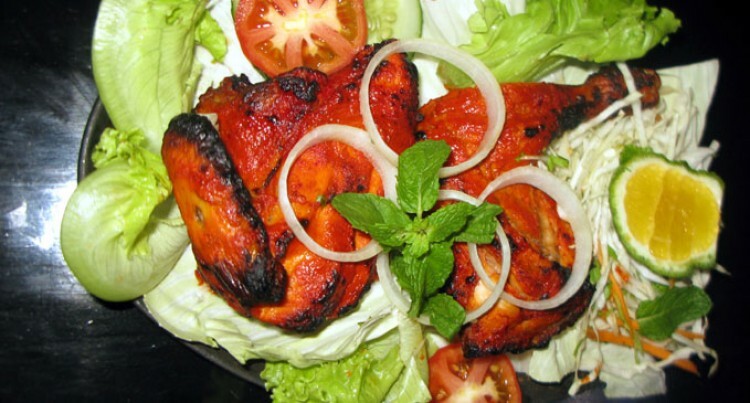 An expert in Authentic Indian cuisine includes India’s regional dishes, Tandoor etc. “I draw my inspiration from my Indian heritage and have a passion of cooking and I do not compromise with quality,” Mr Pandey said. Hawelli Authentic Indian Restaurant at the Hotel Galaxy (Fiji) the first to be Halal in Fiji. It boasts an outdoor and onside catering as well. A private dining room and banquet hall fully air-conditioned for a party which can cater to a minimum of 25 to a maximum of 400 people in-house. Thereafter cooked in tandoor clay oven till perfection. Garnished with shredded salad, onion rings and sprinkled with chat masala.